Hellboy: So you're telling me that kid was the ghost of his pants? Professor Bruttenholm: Cloak, Hellboy. He wore its skin as a cloak. — Hellboy, "The Hydra and The Lion"
So, your hero has managed to showcase his woodland prowess felling a powerful woodlands creature with naught but a pointy stick, a bit of dental floss and gum. 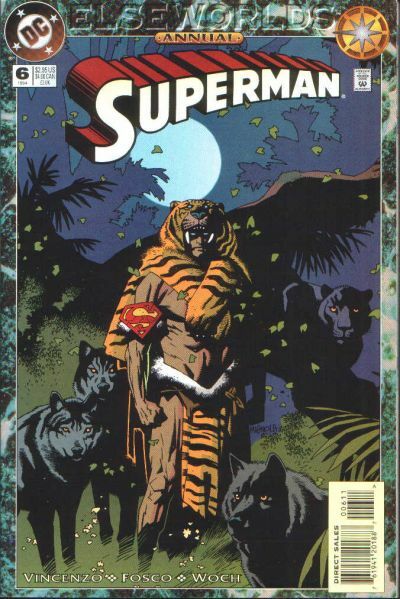 What better way to show his superiority over nature than to show him fully clothed in animal skin attire? Especially manly characters will wear the entire open-mouthed head of the animal as a hood, as in the page picture. In Real Life this would be a complicated process. note Tanning the leather (for the curious, converting a fresh animal skin into usable leather, especially in medieval and classical times, was an extremely long and labor-intensive process — we're talking months of work here, involving noxious and smelly chemicals like quicklime, animal brains, urine, etc. ), cutting it, and then sewing it back into a wearable suit. However, you're not likely to see this in an action based series because it's time consuming and not as fun to watch as the slaying of the creature. Despite all this, the trope is used because it's just that cool. If it's in a tundra or very cold environment, expect this to be used to justify his survival in this environment. If portrayed realistically, it serves as an example of good survival skills (trained hunters know how to skin and butcher a downed large animal in a few hours' span with only their knives) and (if the hunter is stranded in the wild) his adaptation to his new environment. The trope namer is the Nemean Lion slain by Heracles. Can also overlap with Pelts of the Barbarian. Compare Carcass Sleeping Bag, for when you don't have access to magical tanning skills. In Dragon Ball, Goku once skins a tiger. He must have done it with his bare hands because the only tool he has on him at that time is his power pole. In Excel Saga, Excel once did this to a crocodile. As she had to do it bare-handed, it left her hands badly torn. In Hajime no Ippo, Takamura once took out a bear by punching it a bunch of times. He let the bear live because she was only protecting her cub. However, Nekota came across the bear, killed it, and made bear stew. In Takamura's next fight, he wore the bear skin as part of his grand entrance. Wild Rock: This goes hand in hand with the prehistoric setting. Spawn : Upon arriving in the afterlife naked, the first thing Billy Kincaid does is kill some sort of lizard thing and take its skin for clothes. In one scene in X-Men: Regenesis, Cyclops is seen wearing a hood made from a lion's head. Word of God is that the writer made a slight typo in describing the scene to the artist, writing "lion cloth" instead of "loin cloth", but they kept it as-is. In Disney's Hercules, a reference to the original myth is kept when Hercules is seen posing for a picture in a lion-skin. The best part? It looks like Scar. In the Beowulf adaptation, there's a barbarian with a wolf skin. It's likely meant to be a pun on the name, "Beowulf". In which case it would be a lame pun, as Beowulf's name comes from "Bee Wolf," that is a bear, which he was described as being able to grapple like one. 300: Leonidas skins a giant wolf without a knife, and wears it as a cape. He did this as a teenager and to prove that he deserved to be the king of Proud Warrior Race Guys. In Tropic Thunder, the lead kills a panda (accidentally, and much to his horror), whose skin he wears as part of his "descent into madness". In Conan the Barbarian (1982), when a fleeing Conan finally finds a weapon, the wolves that had been hounding him reappear. Cut to Conan wearing their skins. In Windwalker the ancient, returning-from-the-dead, chief has an adrenaline boosting run-in with a bear. After killing it, he wears its pelt to keep warm in the snow. Serenity: A particularly macabre version of this: the Reavers wear clothing made from skins — human skins. The Edge Anthony Hopkin's character and Alec Baldwin's killed a bear in the Alaska wild and in the next shot were walking around in nice warm bear skin coats. Willow: The Brownie named Rool wears the skin of a mouse, complete with mouse head hood. Atlanna in Aquaman (2018), having fought past a massive swarm of flesh-crazed Fish People in the past, is shown wearing an outfit made from their scales and teeth. In Black Zoo, during the meeting of the animal cult, the high priest Radu and Michael Conrad wear robes of tiger skin with the entire open-mouthed head of the tiger as a hood. It is not established where the robes came from, however. Percy Jackson and the Olympians book, The Titan's Curse: after they kill the Nemean Lion, it magically skins itself and not only that, because of the Mist's effects on mortal vision, it suddenly becomes a leather trench coat. John Jakes' Conan the Barbarian Expy, Brak, wore a lion skin and not much else most of the time. The Dark Tower series shows all of the steps that are needed to tan hides, and how long it takes to do it. Tarzan of the Apes novel: Averted, believe it or not. Tarzan kills a big cat and plans to wear its skin: "But he found the hide had dried as stiff as a board, and as he knew naught of tanning, he was forced to abandon his cherished plan." My Side of the Mountain has the protagonist kill a deer through use of traps, and the process of tanning its hide is long, complicated, and detailed. Kid has a good memory. Michael Havel, a.k.a. Lord Bear of the Bearkillers, from S.M. Stirling's Emberverse trilogy, wears on his helmet the head of the bear that earned him and the outfit their names. Subverts the trope by making Havel nearly get killed by the bear, and tanning is done by specialists off-page. Mack of Louis L'Amour's Last of the Breed pulls the realistic version with a number of animals that he kills, down to a few of the early tanning jobs going bad because he didn't have time to properly treat the skin. As part of disguising themselves as tribesmen late in The Belgariad, Belgarath, Silk and Garion take out a few rabbits and sew the skins to their clothing. They later tear them off when the smell gets too strong, after they've served their purpose. In the third Eugenics Wars novel from the Star Trek Expanded Universe, Khan Noonien Singh engages in this. He wears the skin of a big cat he killed after it terrorized his people's settlement. In Emperor: The Death of Kings, Corvix has a head dress made from the head of a lion that he killed many years ago. The Big Bad of the fifth Redwall book, The Bellmaker, is Urgan Nagru, a fox who (allegedly) killed a wolf then took his name and pelt for himself. Nagru is Hoist by His Own Petard when he gets rammed into a tree, causing the teeth of the wolf's skull to stab through his head and kill him. In Through Wolf's Eye, Firekeeper's original outfit was made out of the hide of a deer she had killed herself. It is explicitly mentioned that the leather of her outfit is of low quality, as she was literally Raised by Wolves and knew nothing of practical tanning. The garment design itself is also of low quality (She basically just cut a hole in the middle of the crudely tanned hide and stuck her head through it, then cut off a thin strip to use as a belt), as she also knew nothing of practical tailoring. Codex Alera: Canim Ritualists are believers in this trope and dress themselves in cloaks made from the skins of their enemies. Since most of the Canim encountered in the series are those who war with and raid human realms, most of the witnessed Ritualists dress in human-skin cloaks. The Shuaran Ritualists, on the other hand, dress in Vord-chitin robes. In Something from the Nightside, Belle wears the pelt of a werewolf she caught and skinned over her back, with its head draped over her own as per the pic above. In her case, she didn't need to tan or even clean the pelt, as she magically linked the fresh skin to her own body to acquire the werewolf's Healing Factor. In Updraft, the invisibility of a certain monster is inherent to its skin, a fact which comes in handy when Kirit wants to make herself hard to find. It's not a very clean process, but it works. Gary Jennings' monumental novel 'Aztec'' chronicles the life of Mixtli, a man who rises in Aztec society just before the Spanish conquest. One episode cocerns Mixtli and his trading expedition fighting and killing a jaguar. The animal is skinned with the intention of having the skin tanned and preserved when they reach a town; a slave is detailed to wear the uncured skin. Unfortunately for the slave it takes several days to reach a town where the skin could be cured and tanned; Mixtli drily notes that by then, it has rotted under the Mexican sun and everybody is trying not to stand too close to the hapless slave. As already mentioned, Heracles did this killing the nigh invulnerable Nemean Lion . He strangled the beast and then skinned it with its own claws to make himself a nice arrowproof coat. Most depictions show him wearing the lion skin, with the lion's head serving as the hood. Some editions of Dungeons & Dragons encourage heroes to skin defeated dragons in order to turn them into dragonhide armor or shields. The White Lions of Chrace, the elite bodyguards of the High Elf Phoenix King, wear the pelts of the beasts they take their name from with Korhil, the Captain of the White Lions, wearing the hide of the mutated great lion Charndis that he strangled with his bear hands. These lion cloaks are so thick that they grant their wearers added protection against missile attacks. The Black Arc Corsairs of the Dark Elves wear cloaks made from the scales of the sea dragons that inhabit the waters surrounding Naggaroth. Although light and flexible, these scale cloaks are incredibly tough, offering perfect protection for the otherwise lightly armoured piratical raiders. The Marines of some Astartes Chapters (such as the Space Wolves and Salamanders) cover their armour with cloaks, charms and fetishes made from the skins of their homeworlds most ferocious lifeforms. These skins are often from the creatures that the Marine had to slay as part of their Chapters initiation rituals, such as the pelt of the great Blackmaned Wolf that gave Ragnar Blackmane his name. The Chaos Marine Mad Scientist Fabius Bile is famous for wearing a lab coat made from human skin. In Necromunda, the Ratskin natives of the Underhive got their name from their tradition of wearing cloaks made from the skins of the Necromundan Giant Rats that they hunt for food. This is most prominent with the 1st Edition models with the 2nd Edition versions going in more of a rat fur clad, techno-barbarian direction. In Myriad Song Towser pelts can be made into some of the best armor in the game. It's also illegal because Towsers are sapient. In BattleTech, within Clan Ghost Bear, Warriors may undergo the Clawing Ritual in which teams of high-ranking unClawed warriors are given basic provisions including a simple metal spear and hunting dogs, and journey into Strana Mechty's punishing Antarctic region to kill a ghost bear and bring back its carcass as proof. If successful the Warriors feast on the bear's meat and a cloak is made for each member of the hunting party (due to a ghost bear's size there is enough hide to make a good-sized cloak for every member), with the Warrior who landed the killing blow being allowed to ornament his or her own cloak with the animal's teeth while the other participants ornament theirs with the animal's claws. Most outside Clan Ghost Bear consider it counter-intuitive that the Clan hunts and kills their totem animal but it is justified by Clan Ghost Bear since these expeditions are very rarely successful. Warriors who succeed gain considerable prestige within the Clan and receive more consideration for rank advancement. Final Fantasy Tactics: You can get certain weapons, armors and accessories by poaching monsters and trading them—all you have to do is equip the relevant support skill and have that character do the last hit on the monster. The skinning happens instantly and removes the monster, corpse and all, from the battlefield. Very useful for getting rid of ghost- and zombie-type enemies, who have a chance of coming back to life every time they die. World of Warcraft: If you take the skinning profession then you can skin any beast (and a few smaller critters) as long as you've got a high enough skill level. This ranges from rabbits to massive dragons. And often enough, in skinning both huge and tiny animals, you tend to get the same kind of leather in the same amount. E.g., giant dinosaur and tiny gazelle might give 1-2 Light Leather each. Oh, but you can't skin Tauren. No matter how badly you may want to. Some bosses give specific leathers that can't be gotten any other way, though they've let this practice pass and any equipment from this will now be entirely out of date. Chrono Trigger: Whatever Ayla killed to make her outfit, she decided it looked better with the tail attached. Justified as this is 65 Million BC. It's not like they had many other options. Monster Hunter: This trope is required to move beyond starter equipment because the stuff you find in the shops is quickly outdated. However, while most of your armor and weaponry are made of the bones, shell, and hide of things you hunt down and kill/capture, you never make it yourself during a hunt, but rather take the materials in to a professional to have them processed and crafted into a suit of armor/weapon (As demonstrated in the opening of Freedom Unite , which explains why crafting also costs money on-top of materials). There's also the Nerscylla, which is known to skin Gypceros hides to wear, as well as the Shrouded Nerscylla which wears Khezu hides. God Eater Burst as a similar mechanic as Monster Hunter. Toukiden: The body parts of the large oni are purified and made into various armor and weapon. They don't resemble their source materials, but they do give similar traits. In Fallout: New Vegas, the Frumentarii, spies of Caesar's Legion, all wear Vexillarius helms made from coyotes, foxes, and other desert-dwelling canines. Except when going undercover, obviously. At one point, the Courier can Legionnaire dressed so by threatening to kill the Legionnaire and wear his head in the same way. The Lonesome Road DLC adds Colonel Royez, a Bonus Boss who wears a unique suit of Powered Armor decorated with bear fur. Explicitly averted in Mabinogi (at least as of the original in-game region): the only leather you can use has been harvested and de-furred (and presumably tanned) by less civilized species than the player characters. In The Elder Scrolls V: Skyrim, officers of the Stormcloak Rebellion wear a bearskin cape and cowl, while a Dragonborn who maxes out their Smithing skill can craft a suit of Dragonbone or Dragonscale armor (as well as Dragonbone weapons). There's also the quest for the Daedric Prince Hircine where you're sent to kill and skin a werewolf to make a piece of armor. Also, while he's not seen wearing anything like this outside of Mods, a particularly infamous Werewolf Hunter is named "Krev The Skinner." You can do this to various creatures in Dungeon Crawl. Things like yaks and elephants will just give you plain ol' animal skins, but chopping up trolls and dragons gets you better-quality hides. You still have to enchant said hides in order to make worthwhile armor out of them, though (after all, you don't have the time or the equipment to craft armor the old-fashioned way). Team Fortress 2 gave the Heavy the chance to use a bear's head as a hat. Guess the "big shaved bear that hates people" outclasses actual bears. Item description: In Siberia, bear try to attack family. He try this once. Now he is little hat. Chroma from Warframe wears the pelt of a draconic creature. Said pelt can be turned into a stationary sentry gun capable of obliterating groups of enemies by itself. If the Psychopathic Manchild kills the dog in Lakeview Cabin Collection Part III, he will wear its skin as a hat. In The Reckoning, units of the Jackal Clan (a stereotypical post-apocalyptical raider faction) wear a cougar head as headgear. In Shop Heroes, the Druid you can hire to work in your shop (making potions and working with wood) wears the whole hide of a white-furred, horned creature of some sort. The Alien Rulers in XCOM 2's Alien Hunters DLC can be turned into armored suits once they've been killed. With unique abilities and the chance of scarring aliens of that ruler's type. Cereal Soup: According to a Loading Screen tip, the Suricate (meerkat) and Canis (canine) species celebrate their coming-of-age ceremonies by wearing the skins of either their dead relatives or their first kill, though this counts as Gameplay and Story Segregation as whenever players grow their characters, no ceremony or even a reference to that ceremony occurs. In Red Dead Redemption II, the pelts of animals you kill can be sold to the trapper. These pelts are used to make special clothing options, including a bear-head hat (gotten from taking down a legendary bear). Schlock Mercenary had one sequence that made reference to the absurd number of steps (though only showing some). Of course they manage to skip some thanks to Schlock's... unique biology. Subverted in Oglaf where a character appears to be wearing a bear's skin but is actually being attacked by a "flatbear". In The Order of the Stick, Belkar is fond of finding innovative uses for kobold bodyparts after he's killed them. The first time he does this is when he uses the head of Yikyik as an impromptu leather hat. In the "Ice Station Impossible!" episode of The Venture Bros., Brock does this to a polar bear in seconds to help Dr. Venture survive being dumped naked in the tundra. In fairness, both Brock and the bear pelt were absolutely covered in blood. That didn't stop Dr. Venture from wearing it for the rest of the episode, including after he got back to the station, and while working in the lab to cure a volatile mutagen. In the Justice League episode "Hereafter," Superman, having been blasted into the far future, under a red sun, is accosted by big mutated wolves, until he makes himself a sword and kills their leader, wearing its skin as a cape afterward. It clearly took time for him to fashion the skin into a cape, which would certainly be easier than making it into a tunic or something anyway and require way less skill to pull off. On Foster's Home for Imaginary Friends, a feverish Bloo (as his alter ego Bloo Superdude) fights a vicious giant pink rabbit and wears his skin afterwards. Turns out it was Eduardo's stuffed bunny, Paco. In the Adventure Time episode "Susan Strong", Finn discovers a tribe of humans at least, he thinks they're humans, that wear animal skins as hats. This casts disturbing implications on the nature of Finn's own Nice Hat. The fifth season episode "Little Dude" left Finn with the need for a new hat. In Wakfu season 1 episode 17, Sadlygrove shears a pack of arctic dog-like beasts with one slash of his sword — without even killing them — to provide wool for his companions. Avatar Kuruk in Avatar: The Last Airbender manifests wearing the skin of a polar bear-dog to suggest he's a badass. In The Fairly OddParents! movie Abra Catastrophe, after monkeys become the dominant species, the world changes to become jungle-themed, and Timmy's parents are attacked by leopards. The next time we see them, they're wearing leopard skin clothes and discussing all the other things they've made with the skins (but nothing for Timmy). Similar to the Foster's example above, the Dexter's Laboratory episode "Dexter the Barbarian" has Dexter, imagining he's a barbarian warrior, wearing a fur like this after fighting a pack of wolves. It later turns out that he had shaved the family dog. The Secret Saturdays: In "Twelve Hundred Degrees Fahrenheit", Argost kills and skins a fireproof lizard man, then wears his skin as a suit to allow him to swim through the lava inside a volcano. In the American Dad! episode "Bush Comes to Dinner" when Stan drops Hayley into his "Pit of No Return", she shows up alive later, prompting Stan to ask how she got past what was supposedly his guard beasts (we don't know what they were for sure because Hayley cuts him off). She killed them all, even the younglings, and used their hides to make Stan a wallet. 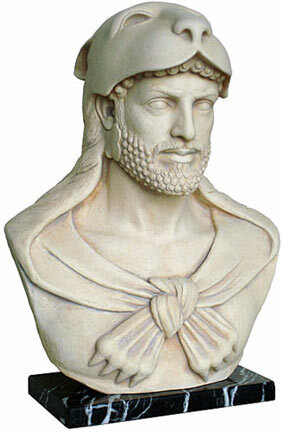 The Vexillarius and the Imaginifer in the Roman Army wore headdresses made from the head of a wolf. The term berserker literally means "bear jacket" and refers to Norse warriors who wore bear pelts in combat. Aztec priests of Xipe Totec ("The Flayed One") skinned their Human Sacrifices and paraded in their (untreated) skins for twenty days. It's supposed to be symbolic of how their god sheds his skin and is reborn in a golden body every year, which itself symbolizes the maize harvest being husked. A Cosplay example here. The cookie farmers are safe once more - for another year, at least. Certain species of assassin bug that prey on ants will take the desiccated remains and place them on their bodies as a form of camouflage against potential predators.